I have a zillion ink samples and sometimes I know exactly which I want to try next. A couple of weeks ago, though, I was in a funk. I knew I wanted to try a new (to me) ink, but I was feeling ambivalent about exactly which ink to try. Reaching my hand into my samples, I pulled out Private Reserve Arabian Rose. The color is nice. It reminds me a bit of Yama-budo, though not as bright. Flow from the pen is great. No feathering, bleeding, or ghosting on the various decent-quality papers I've used over the last couple of weeks. Water resistance isn't a big factor in choosing an ink for me - if it is for you, you may want to look elsewhere. My bottom line? I like it quite a bit. Preferring Yama-budo, this ink isn't one that I would normally choose for myself, but I will almost certainly use the entire sample without complaint. All of this makes me wonder - do you prefer the super-bright, in-your-face colors, or something a bit more dusky like this purply color? Great review! I'm a fan of the dusky colors. Every once in a while, though, I can't resist a bright. I may just have to try Yama-Budo, based on your April review! Hey Arlie..thanks for stopping by! Yama-budo is a GREAT ink. Thanks for the review Christine. 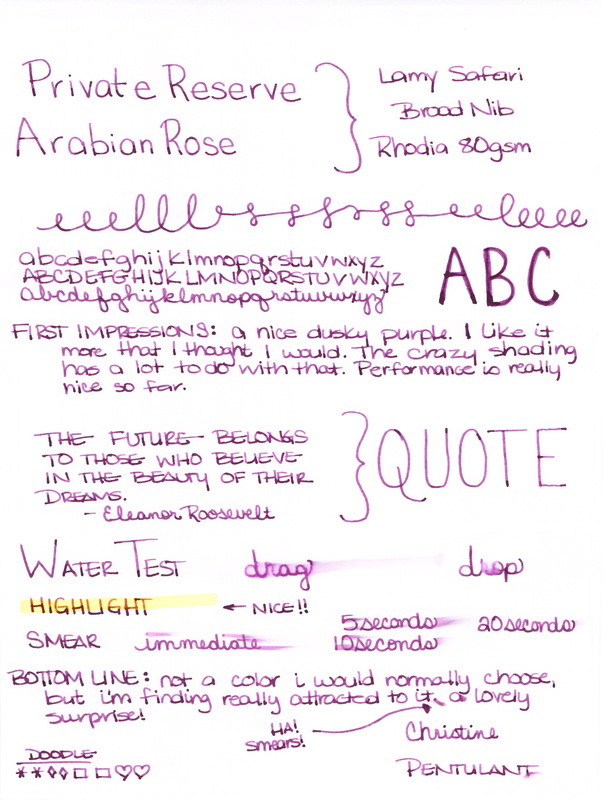 I am still in search for my perfect purple ink. The shading is a little bit much for my tastes but I think I will try it in a really wet writer and see if I can get more of the dark hue to come out. 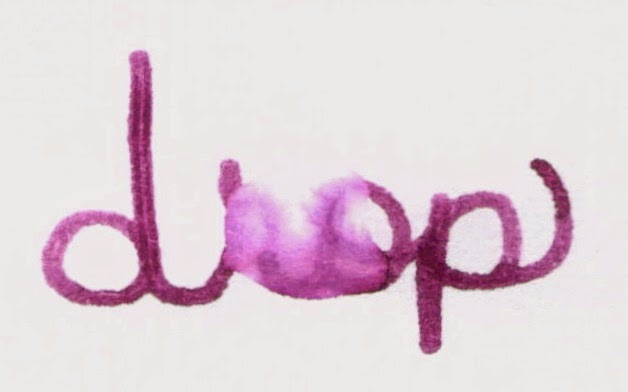 If you're looking for something that is "simply purple," I really love Noodler's Purple. It's just...purple! Ooh that's an interesting ink. Probably not one I would want in a full bottle, but I think you've convinced me to get a sample. :-) Thanks for another great review! Is it ok to travel on both the bright side AND the dark side? 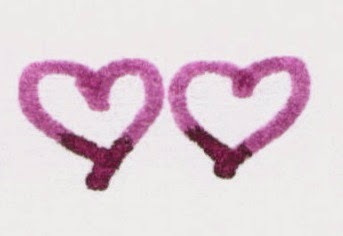 I always at least two pens: one with a dark or dusky (water resistant) ink and another with a bright ink. I may have more, but at least two. Right now my two are Noodler's #41 Brown and Diamine Pumpkin. What a GREAT fall combination!